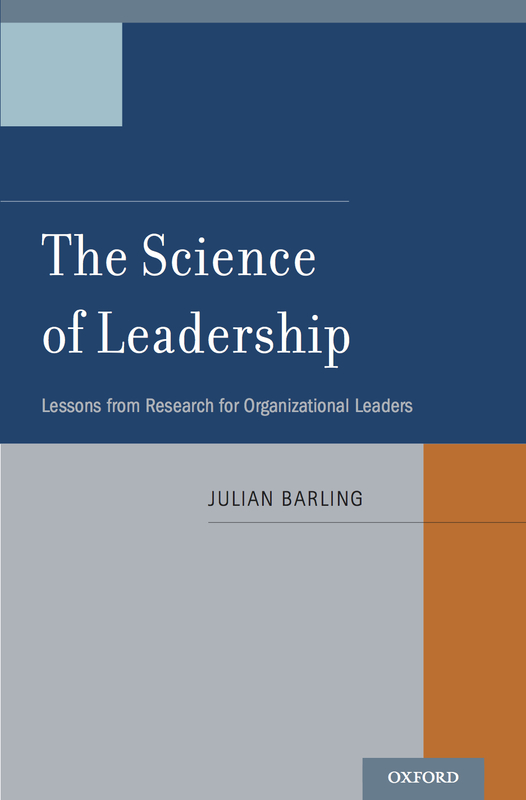 In The Science of Leadership, Julian Barling takes an evidenced-based approach, relying primarily on the knowledge generated from research on organizational leadership conducted around the world and personal reflections based on two decades of involvement in leadership research and leadership development with executives. While leadership has been studied within all the major social sciences, Barling mainly focuses on findings from psychological research. The first part of the book explains the nature of organizational leadership, responds to the question of whether leaders "matter," and explains how leadership works. A longstanding issue is whether leadership can be taught. Barling explores the debate over whether leadership is "born or made" as well as the effectiveness of leadership development interventions in organizations. He gives consideration to what can be learned from leadership in other contexts such as sports, the political arena, and schools, and devotes individual chapters to topics that include gender and leadership, destructive leadership, and followership. Read a review of "The Science of Leadership" published in Personnel Psychology 2015. Julian Barling is the Borden Professor of Leadership in the Queen's School of Business, and also holds a Queen's Research Chair. Julian is the author of several books, including Employment, stress and family functioning (1990, Wiley & Sons), The union and its members: A psychological approach (with Clive Fullagar and Kevin Kelloway, 1992, Oxford University Press), and Changing employment relations: Behavioral and social perspectives (with Lois Tetrick, 1995, American Psychological Association), and Young workers (with Kevin Kelloway, 1999, American Psychological Association). 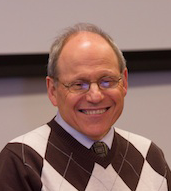 Julian co-edited The psychology of workplace safety (2004; American Psychological Association), the Handbook of Work Stress (2005; Sage Publications), and the Handbook of Workplace Violence (2006; Sage Publications). Julian is senior editor of the Handbook of Organizational Behavior, which appeared in 2008. In addition, he is the author/editor of well over 125 research articles and book chapters. Julian was the editor of the American Psychological Association's Journal of Occupational Health Psychology from 2000-2005. Julian has served on several editorial boards (Journal of Applied Psychology, Journal of Organizational Behavior, Leadership and Organizational Development Journal, and Stress Medicine). He was formerly chair of the American Psychological Association's Task Force on Workplace Violence. From 1989-1991, Julian was the chairperson of the Advisory Council on Occupational Health and Safety to the Ontario Minister of Labour. In 2001, Julian received the National Post's "Leaders in Business Education" award. In 2002, Julian was elected as a Fellow of the Royal Society of Canada, and was named as one of Queen's University's Queen's Research Chairs, a position he continues to hold. In 2008, Julian was elected as a Fellow of the international Society of Industrial and Organizational Psychology, the European Academy of Occupational Health Psychology. He also received Queen's University's Award for Excellence in Graduate Supervision. In 2009, Julian was elected as a fellow of the Association for Psychological Science (APS). In 2012, Julian was elected as a Fellow of the Canadian Psychological Society, and was named the Borden Chair of Leadership at the Queen's School of Business. Julian has worked with numerous different organizations on leadership development. Julian's current research focuses on the nature and development of transformational leadership and unethical leadership, and how leadership can enhance employee's psychological and physical well-being.